Location: Golden Gate Park, County Fair Building on the corner of 9th and Lincoln. NEXT MEETING: Getting ready for our tuber sale. There may be some snazzy dahlias for sale just for meeting goers from Lou, Pat, Devi and Deborah. Will you bring special tubers or plants, too? Who will bring treats? 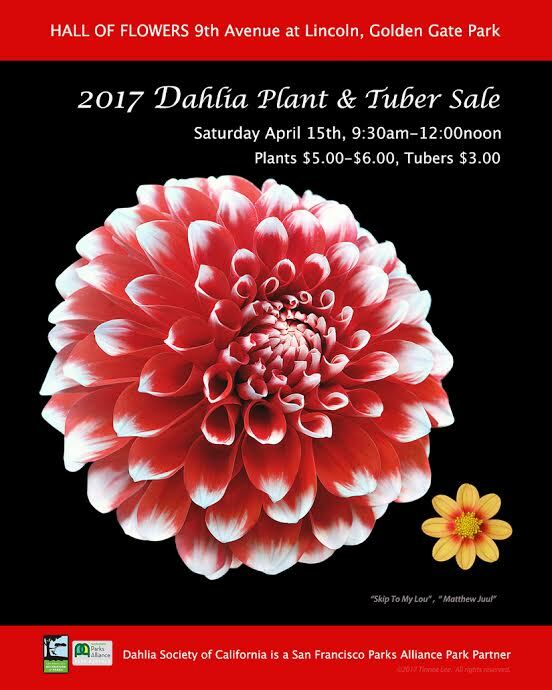 Join us for our annual DAHLIA PLANT & TUBER SALE! - Saturday, April 15 from 9:30 to noon.